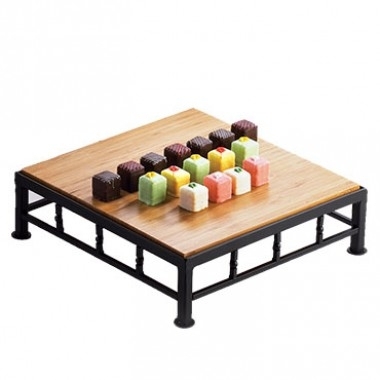 Providing an eye-catching way to serve anything from, pizzas, to desserts and apps; display risers are a go to choice for creative food presentation. They also provide an elevated style so guests and patrons can catch a glimpse of food from the catering table, or cafe display. Tablecraft AW5 Cristal Five Step Acrylic Waterfall-16-1/2X21X6-1/4"